From Pine Grove, take the North Fork Road to Barker. At Barker turn left and go to the top of Barker Hill. There are two dirt roads to your right. Take the second one and follow Hoyt Ridge for a mile or so. 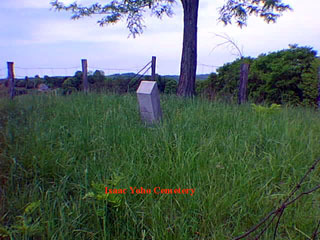 The Cemetery will be on your right and just across the road from the Yoho Cemetery. The cemetery was read by Arthur Miller in 2000.